Bose asserts that it makes the best audio equipment at a price that is affordable to the masses, but its SIE2 and SIE2i are among the most expensive pairs in the sports headphones market. Sweat-resistant versions of the IE2, they are consistently in numerous lists of recommended sporty earphones. 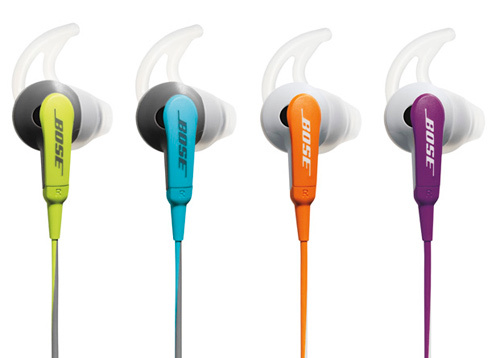 With much cheaper rivals in the running, can the Bose SIE2i justify its above $100 price tag? The Bose SIE2i is not graced with the usual silicone or foam buds, but rather employ circular disks with acoustic ports. Rival earphones with the traditional buds can be cleaned under running water, but the same can’t be said for the SIE2i. Nonetheless, their ports are covered with hydrophobic cloth and don’t really come into contact with your skin, so in a way they are sweat-resistant. They also won’t slide out with sweat like traditional ear buds are apt to do. The funny wing-like tips you see attached to the ear pieces are Bose’s proprietary StayHear tips. Three sizes are provided with the set; choose the most comfortable one to slot into the ridge of your ears. The result is a loose fit that is quite a liberating sensation, but still secure enough not to be dislodged during a run. You also don’t have to fiddle with them to correct their position – it’s almost as if they’re not there. There are more colors available for the SIE2i than its brethren, all bright and distinct. They are lime green, orange, blue and purple and they correspond to their complementary armbands. Also included is an extension cable (60 cm) in addition to the 53.3 cm one. The extra length can be secured to your shirt using the accompanying clothing clip. The extension cable ends just at your waist, which is perfect if you’re not using the armband. Rather than having to always put on pants with pockets, it’s much easier to strap your music-playing device onto your arm. The high level of practicality introduced by the Reebok armband makes for a persuasive case for the SIE2i. It has several entry points for cables, ensuring a proper fit for an assortment of devices. There’s also space for an ID and key pouch on the armband. Because the SIE2i was in the market before the release of the iPhone 5, it will unfortunately only fit the earlier iPhone and iPod Touch models, as well as other devices of that size. Being the ‘i’ version of the SIE2, the earphones come furnished with an inline remote and microphone for your handsfree needs. The piece sits at the Y-junction of the cable, which hangs at a comfortable height when worn. On an iPhone, the music pauses when there’s a call, and resumes when the call is finished. It’s so disappointing that this feature won’t work as well for Android phones, but it is an Apple-dominated world after all. Workout tunes carry a lot of bass more often than not, and this is the range where sport headphones simply must shine. You can expect a decent low frequency response from the SIE2i – especially for sounds below 50 Hz. Each thump feels weighty and powerful, but is overshadowed by the more graceful Sennheiser CX 680. The latter, which costs about $20 less, reproduces the bass more accurately, instead of muddying up the lower mid-range. In contrast to the original IE2, the highs of the SIE2i are inadequately defined. The sound produced is almost veiled, which can be theoretically attributed to the shape of the ear pieces. Whilst the SIE2i’s are circular disks, the IE2’s are more cone-shaped – which arguably allows a better channeling of music. The mid-range is not the stuff of poetry, but quite sufficient if you can elect not to look at the price. The earphones are not meant to be noise-isolating, and isolate they don’t. They let in a fair amount of street noise – primarily because of their loose fit – but you can still hear your music even if the volume is not at the maximum level. City runners may appreciate the exterior awareness provided rather than seal off auditory warnings from other road users completely. 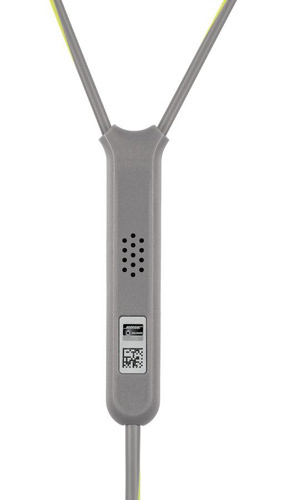 In regards to the microphone, your callers will be able to hear you loudly and clearly with no cable noise. Definitely an advantage it has over the Sennheiser CX 680. 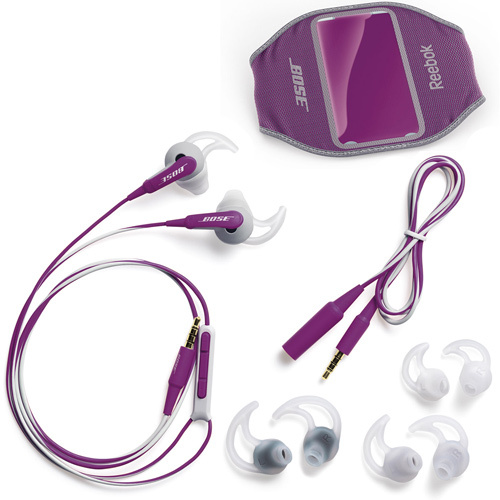 The Bose SIE2i inspires a lot of confidence build-wise. Its secure and comfortable fit is not to be taken lightly, and the stylish Reebok armband is a pleasing bonus. Cognoscenti of headphones, though, will more likely than not turn this $149 pair down for cheaper ones with better audio. Its sound quality is simply not for the audiophiles. But if decent sound is good enough for you and a great fit the priority, then look no further than the SIE2i.